Running in Salt Lake City, Utah. 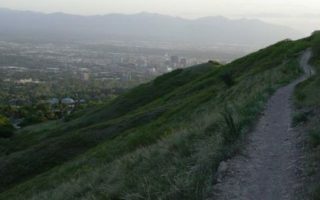 Best routes and places to run in Salt Lake City. 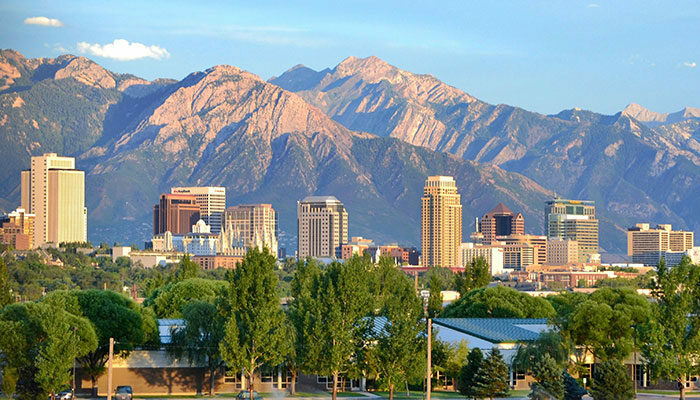 Capital of Utah, Salt Lake City is one of only two major urban areas in the Great Basin. To its northwest is the Great Salt Lake, and to its southeast are the Wasatch Mountains, containing several narrow glacial and stream carved canyons. The highest mountaintop visible from the city is Twin Peaks, reacheing 11,330 feet. 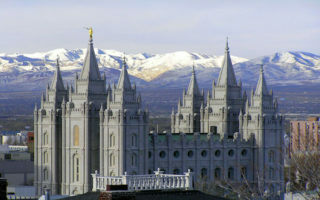 Salt Lake City was founded in 1847 by Brigham Young, Isaac Morley, and George Washington Bradley. Originally named “Great Salt Lake City,” the word “great” was dropped from the official name in 1868 by the 17th Territorial Legislature. This is a guide to running in Salt Lake City, Utah. Salt Lake City is regarded as a recreational mecca. Some of the best skiing in the world can be found in the mountains only 1/2 hour from the airport. This is a young and outdoorsy city, with some great running opportunities offering lots of variety. There are some wonderful parks and riverside trails right near the city center. 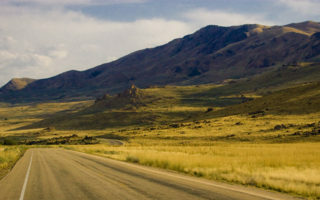 But best to get a bit outside the city, and enjoy the unique running along Great Salt Lake, the spectacular canyons, or some great trail running in the mountains nearby. Note: While Salt Lake City itself is flat, it sits at 4200 feet. You’ll feel the altitude and the sunshine. Dress and hydrate accordingly. Our thanks to Holland Newton, Director of the Virtual Running Club, HQ in SLC, for his help with this guide. See their upcoming races. This is our SLC "Runseeing" Tour. Within a fairly compact area of downtown, near all major hotels and the Convention Center, pass by the Mormon Temple, State Capitol, Public Library, arena, & major shopping venues. A quick escape to nature right from downtown. Pleasant canyon run alongside a creek. A pretty steady uphill climb. Main paved Canyon Road is closed to cars on odd days May-Oct. Numerous additional trail running options. 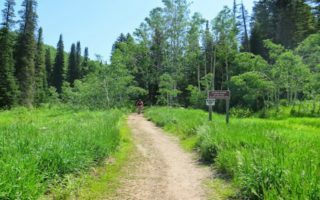 Located on the east edge of downtown, the Bonneville trail is a well-maintained singletrack that follows the Ice Age Bonneville Lake Shoreline. Hilly, with great views. 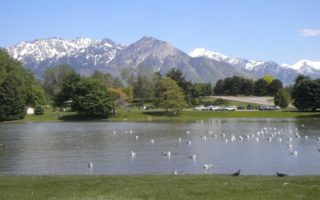 Close to most of Salt Lake City’s popular offices and hotels, Liberty Park is an easily accessible, and popular downtown running spot. Located in Southern Salt Lake City, this is the “crown jewel” among regional parks in the Salt Lake Valley. 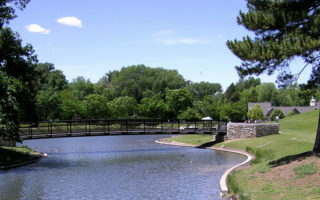 Popular with runners, Sugar House Park offers 110 acres of lush, rolling green space in a great SLC neighborhood. A tour of both Liberty Park and Sugar House Park, using some pretty neighborhood streets connecting them, which are ~2 miles apart. Total is 7.5 miles, fairly flat. Attracting lots of bicyclists, walkers, and runners, the route is mostly paved and fairly hilly. Running this route, you’ll pass several of Salt Lake City’s famous landmarks. The Great Salt Lake sits around several islands, and offers outstanding scenery and recreational opportunities. There are many running options in this area. Antelope Island State Park is among the highlights. The University of Utah has a beautiful campus with the mountains so close you can almost touch them. One can put together a nice 3-4 miles within the campus or around the perimeter. There are also great trails nearby. 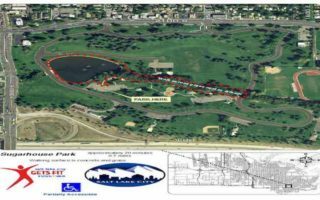 Located in the western part of Salt Lake City, this paved trail is great for long distance running. 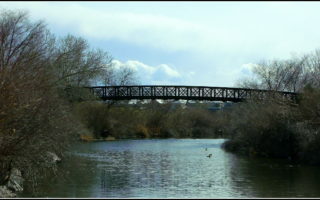 This 8.1 mile route follows the beautiful Jordan River, passing through several lovely parks. A canyon in the Wasatch Mountains. Great for trail running. Big variety of trails. Hilly and challenging. The Draper/Sandy area has 90+ miles of trails. 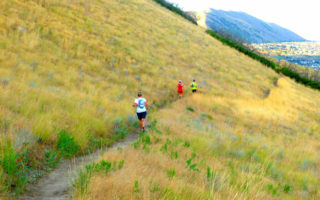 A highlight is Corner Canyon, with 1,100 acres of trails of various length and challenge for running. Connects to the Bonneville Shoreline trails. 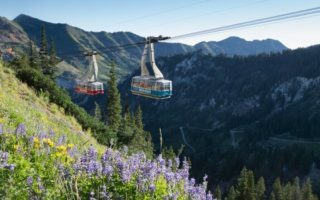 Great summer trail running at this famous ski resort 45 minutes from SLC, courtesy of the Snowbird Tram and Preuvian lift. A treat is to run through the 600 foot tunnel into mineral basin. ummer thunderstorms. Even on hot days, nights cool off quite nicely. 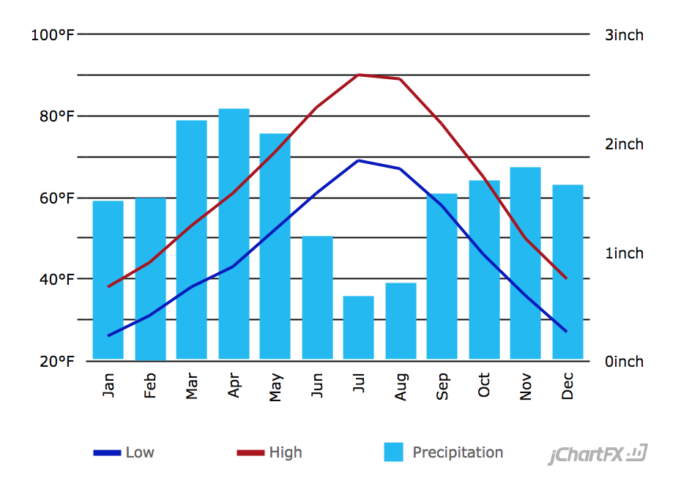 Spring and fall are delightful, with warm days and cool nights. Winters are cold but not frigid. It can snow in Salt Lake City, but not to the magnitude of the nearly 500 inches that fall in Little Cottonwood Canyon only 25 miles away. Still, when running in winter, bring the right clothing and Yak-Traks. Just outside the city toward the mountains, the climate gets different, quickly. Salt Lake City offers a variety of hotels. 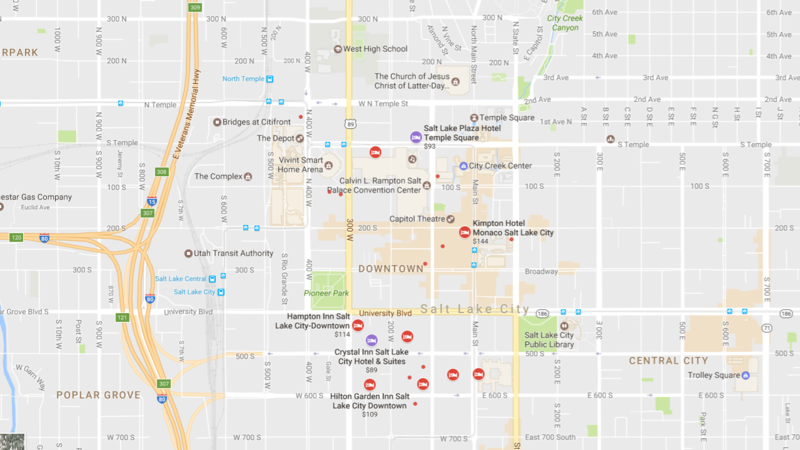 Most of these hotels are located in the downtown area, east of I-80 and clustered near Temple Square and the Convention Center. 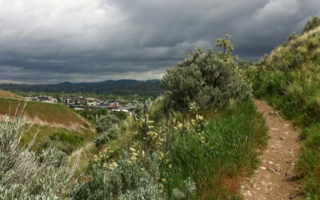 There are good running routes near the downtown hotels, such as Liberty Park, Parley’s Creek Trail, and City Creek Canyon. 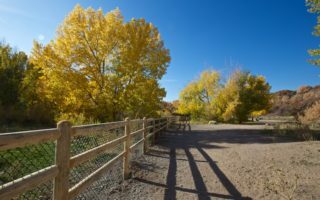 If you’re looking for something a little more quiet, there are a few places to stay on the outskirts of town, over by City Creek Canyon. Salt Lake Running Company – Downtown area. Group runs every Thursday October-April at 6:00pm. Park City Running Company – Outside downtown, by Summit Park. Group runs on Sundays at 8:00am. Distances vary. 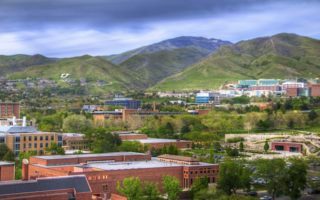 Wasatch Running Center – Southern Salt Lake City. View calendar for events. Big 5 Sporting Goods – Downtown area/Sugarhouse. Footsteps for Fertility 5K – September. Liberty Park Route. The Rival Run – 5K. September. Snowshoe Stomp 5K – January. Kids welcomed. Winter Running Series – 5K, 10K, and 15K. February. Sugar House Shamrock Shuffle – 5K. March. Click here to view run calendar.